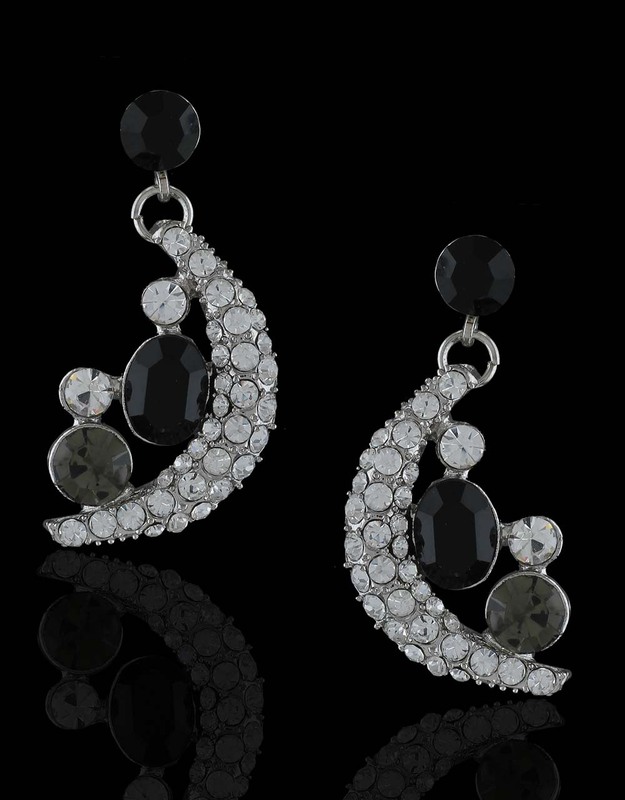 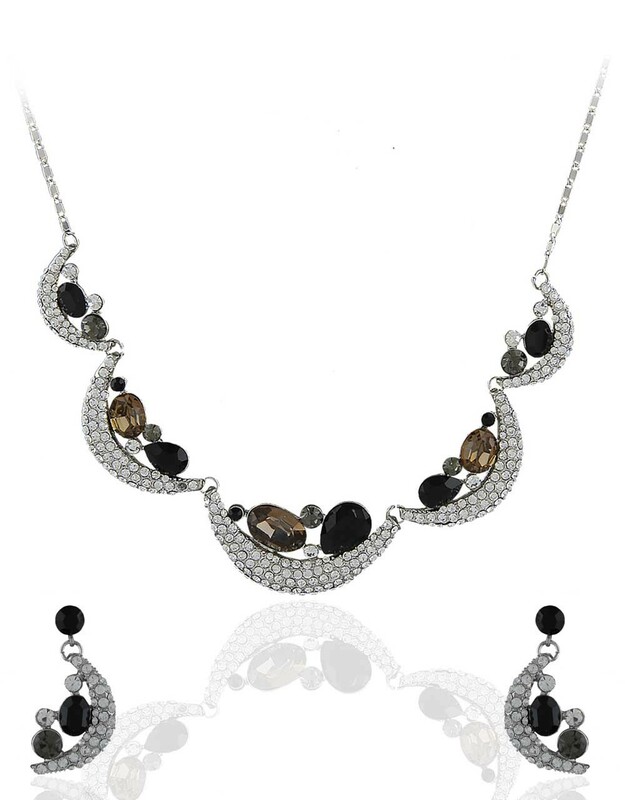 Geometric design adorable necklace set encrusted with sparkling white & black colored stones will appeal to at very first look. 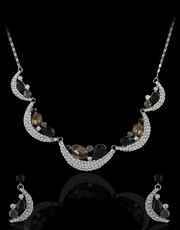 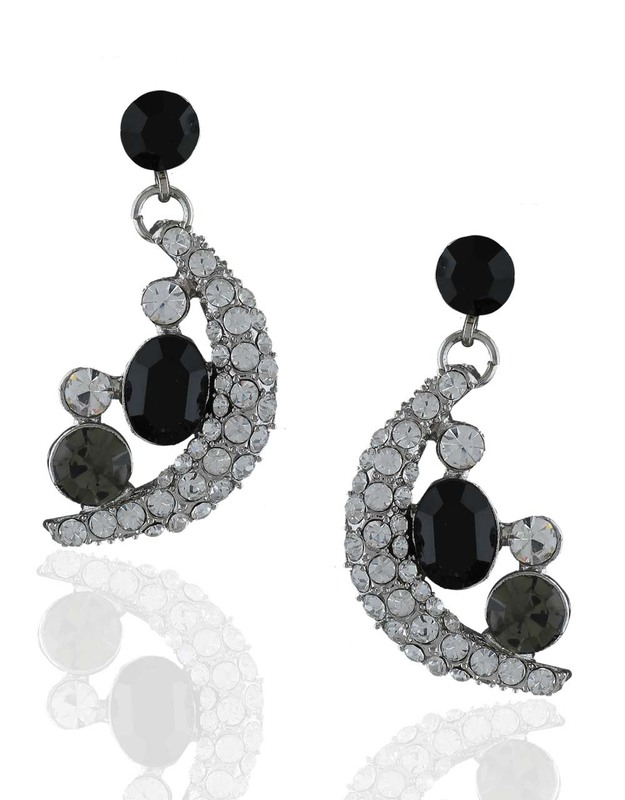 This designer necklace is perfect to club with festive attires. Crafted from silver polished Korean metal. Excellent quality & high durability are the hallmarks of this set.